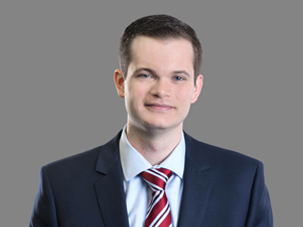 Robert R. Granzen, Esq., joined Frier Levitt in 2015 as an associate in the Litigation department. Robert represents healthcare professionals in all aspects of litigation and counseling. Robert’s practice focuses on healthcare litigation, partnership disputes, PBM litigation, commercial litigation, and employment disputes. After graduating from Seton Hall University, Robert pursued a Juris Doctorate degree from Seton Hall University School of Law, where he participated on the appellate advocacy moot court board, competed in the Eugene Grossman moot court competition, and earned a concentration in health law. Prior to joining Frier Levitt, Robert served as law clerk to the Honorable Stephen J. Taylor, J.S.C. in the Superior Court of New Jersey.